For homeowners in need of extra cash, a second mortgage may be the answer. With a second mortgage, you turn the equity you have in your home into cash. A second mortgage is a loan that is in second position to your traditional first mortgage. The term “second” refers to the fact that this loan has no priority over the first mortgage. These mortgages can also be called a home equity loan and a home equity line of credit (aka HELOC). A second mortgage may have various purposes, including the funding of home improvements, emergency expenses such as medical bills, tuition fees, debt consolidation or just some extra needed cash. This type of loan will usually have a term of 15-30 years, like your traditional mortgage. This may be a viable option if you’ve already accumulated a good amount of equity in your home. he amount that would be given to you as a second mortgage loan would be based on your equity position. To illustrate, if the value of your home is $150,000 and you now have only an $80,000 balance in the repayment of your original loan, then you have equity of $70,000. The main advantage of a second mortgage is that the interest rates are typically lower compared to those charged for other kinds of loans such as credit card debt or a personal loan. The interest you pay for the second mortgage may also be tax deductible (check with your accountant), as with your first mortgage. Please keep in mind that like a first mortgage, your home will be used as collateral by the lender in the event your default on their payments. Any mortgage will require the bank to place a lien on your home, this gives them the authority to “repossess” the property if you default on the account. These types of loans require lenders to take more risk because when signing a second mortgage the borrower is agreeing to pay off their first mortgage balance before the second lender can be paid. Second mortgage loans: A home equity loan (your basic second mortgage) is a lump sum of money you may receive based on the amount of equity you have acquired. Your income, credit, and overall financial situation will be carefully examined to determine if you qualify for the loan – almost as if you were “repurchasing” the home. The amount will need to be repaid in installments over a set period of time. Home equity lines of credit (HELOC): A HELOC functions very similar to that of a credit card. The lender will provide you with a specific credit limit based off the amount of equity and lending standards of the institution. For homeowners who need continuous access to credit for day-to-day uses, a HELOC may be the better option. The allowable loan amount is restored as the borrower repays the loan. A HELOC acts like a credit card with the limit set at the loan amount. Only when the money is withdrawn from the home equity loan is their a monthly payment and interest charges based on the money taken out. For example, if you have a $75,000 loan and use $25,000 for a backyard pool, you will be making payments to your lender based on the $25,000 and still have $50,000 of available monies. However, like the credit card, you should be on the lookout for any penalties and you should negotiate with the lender for a lifetime cap on interest rates. 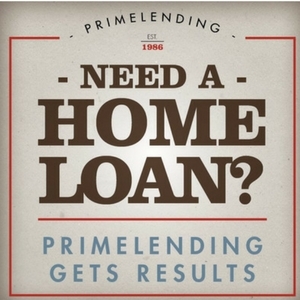 You may also want to have the option of transforming your HELOC into a fixed rate loan. If you need a lump sum of money, you may be better off with a 2nd mortgage because you will most likely obtain a better interest rate on the mortgage. If you need cash, but over a longer time frame, such as to pay for your children’s college tuition or to pay for home improvement projects planned over the next couple years, it is probably better to obtain a home equity line of credit (HELOC). That way, you won’t be unnecessarily be paying interest on the money that you have not yet used and will only pay the bank when you actually withdraw the cash. If you are considering a second mortgage to help you pay off other debt such as credit card or automobile mobile expenses you need to be very careful. Many times a homeowner will get a second mortgage and pay off the other debts, and in no time find themselves in the exact same position they started. This usually happens because the borrower does not fully understand the reason they got into debt in the first place. Make sure before taking on a second loan you calculate all of your income and expenses first to see if you have room to take on the new monthly payment. If you need help with a mortgage, please call 1-800-779-4547.